MCKENZIE, TN – The public is invited to explore the impact of slavery on long-ago Cumberland Presbyterians during the Dr. James Potts History Symposium beginning at 6:30 p.m. on Thursday, March 21 at the Bethel University campus. The Dr. James Potts History Symposium was named after Dr. James Potts, long-time professor of history at Bethel University. 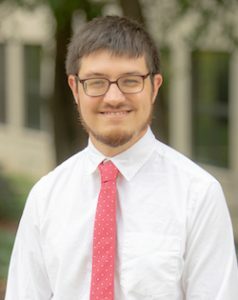 The speaker will be West Tennessee native Dr. William Black, who graduated from the Honors Program at Bethel University in 2011 with a degree in history. Black recently received his PhD from Rice University and specializes in 19th Century Religious History and Southern History. He has been published in the Journal of the Civil War Era, Journal of Popular Culture, The Washington Post, Vox, and The Atlantic. Now a visiting instructor of history from Western Kentucky University, Dr. Black will present “Border States, Border Church: Cumberland Presbyterians and the Problem of Slavery” in the Ayers Lecture Hall. This entry was posted in News and Information on March 14, 2019 by Bethel Marketing. 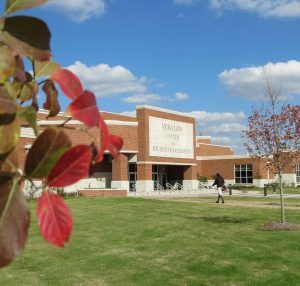 MCKENZIE, TN – Studies released this week by The Tennessee Independent Colleges and Universities Association (TICUA) suggest that, while state and federal aid has remained stagnant over the past decade, member institutions have steadily increased the amount of institutional grant aid they provide. Bethel University is one of 34 TICUA campuses in Tennessee. Officials at Bethel University note that Institutional aid comes in the form of grants and scholarships to students who either demonstrate financial need or qualify academically. This money does not need to be repaid. According to the Integrated Postsecondary Education Data System’s (IPEDS) 2018-19 student aid survey, 98% of first-time, full-time Bethel University freshmen received some form of aid, while 85% received institutional scholarships. The average amount of institutional aid for Bethel freshmen was $9,663. Institutional scholarships include athletic, performance-based (including performance arts), and even scholarships for resident dorm directors. Bethel University President Dr. Walter Butler says the school’s generous aid allows more students to pursue their educational dreams. TICUA was established to promote cooperation among private institutions throughout Tennessee, helping private colleges and universities to work collaboratively in areas of public policy, cost containment, and professional developments. 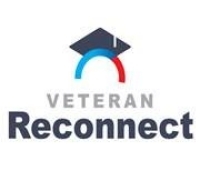 Members include each independent, non-profit, regionally accredited college and university in Tennessee with a traditional arts and science curriculum. To learn more about Bethel University’s scholarship and grant offerings, go to: https://www.bethelu.edu/scholarships-and-costs. This entry was posted in News and Information on February 19, 2019 by Bethel Marketing. 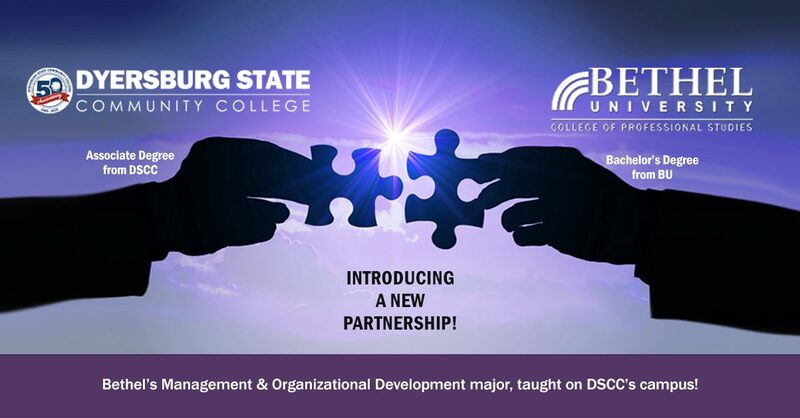 To learn more about Bethel University’s College of Professional Studies programs, go to BethelSuccess.net, or contact Jackie Puckett at (270) 243.4321 or puckettj@bethelu.edu. This entry was posted in News and Information on November 21, 2018 by Bethel Marketing. Many students are so inspired by Bethel’s Management & Organizational Development program that they dream of starting their own business. After all, the courses cover nearly every subject entrepreneurs need to know. But very few undergraduates actually launch a company while sitting in the classroom – and fewer still experience the success that student Collin Johnson has. And that’s when Rev Powersports was born. “I got laid off from my aviation job due to corporate downsizing in February of 2017,” Johnson explains. “I started working at FedEx, and it seemed like I was trying to open a door that wasn’t meant to be open.” So, while working and going to school, he began repairing ATVs and watercraft out of his garage. He joined forces with a partner who serves as head mechanic, and quickly built a customer base. A native and resident of tiny Beech Bluff, Tennessee, Johnson attended four different colleges before finding his way to Bethel. None proved to be a good fit. Too often, he found that many of his teachers were grad students with no experience in the field, or the advisor-student relationship was nonexistent. Ultimately, he dropped out and got a job at a Cessna single-engine repair facility. While repairing corporate jets for almost four years, he discovered his love for management. But with more than three years of college and no degree, he had the nagging desire to finish what he’d started. All of Johnson’s teachers brought real-world experience to the classroom. Among his favorites was instructor Charles Anderson, who taught Business Ethics. “He underscored the importance of ethics and morals, and the way you should conduct yourself in a business environment. Mr. Anderson was a company manager, so he effectively utilized both principles and application. He would tell us how to do it – and then tell you how he’d done it.” Ironically, Mr. Anderson was one of Johnson’s very first customers. 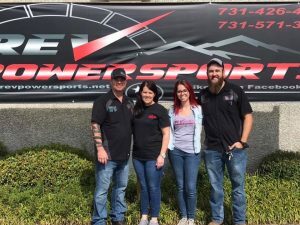 His last class now finished and graduation just a December walk away, Rev Powersports is thriving — and so is Johnson. With five employees, a 10,000-square-foot facility, and a supportive wife, he’s an exceptionally busy man who’s managed to juggle both goals and dreams. But Johnson remains modest about his success, and credits Bethel for much of it. And, as in Johnson’s case, it might be just the thing to “Rev” up your future. This entry was posted in News and Information on November 8, 2018 by Bethel Marketing. 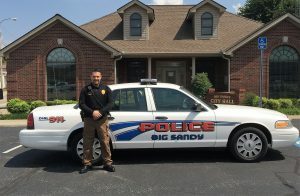 With just four classes left to go until graduation, Criminal Justice student James Sukach can look back on an academic journey that’s been anything but “uniform.” As Chief of Police in Big Sandy, Tennessee, he’s had a chance to improve the lives of the citizens in his care through his coursework. 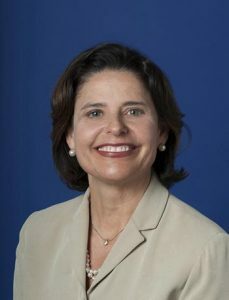 The Connecticut native arrived in West Tennessee after a 21-year career with both the Marine Corps and the Coast Guard – most of it serving in law enforcement. In his final position, he was given the opportunity to choose from three stateside assignments. His first choice was Tennessee. “There was an open position for a river-tender in Paris Landing,” he recalls. Having grown up in the tiny town of Hebron, Connecticut, the West Tennessee area seemed friendly and familiar. He took the job in the summer of 2009, working aids to navigation keeping the river channels marked for barges. The three-year tour of duty ended with his retirement from the military in November of 2012. For the next three years, James searched for his next career and tried a little bit of everything: from a department manager at Lowe’s to driving flat-bed tractor-trailers over the road. In the summer of 2015, while working as an armed security officer at Centennial Hospital in Nashville, he learned about an opening for a Chief of Police in Big Sandy. He put in an application, was interviewed by the mayor, and got the job. It was all coming together: James had an exciting new position and a permanent home. The one thing missing from his life was a college degree. “I had taken a couple of courses over the years, but just never had time to really focus on my educational goals,” he says. That’s when he heard about Bethel University’s online criminal justice program. “All the local law enforcement – the Benton County Sheriff’s office, the highway patrol officers – highly recommended the program,” he says. “I checked the school out, and discovered it was one of only a handful of universities whose criminal justice program was endorsed by the FBI.” That stamp of approval meant a great deal to James. He did some research, made a couple of phone calls, and ended up talking to Bethel representative Rick Bankey. In fact, James says, he has “absolutely no complaint” about any aspect of the program. “From my advisor to the librarian to my instructors – I’ve received great customer service that’s been second to none.” And, despite his busy professional schedule and a personal life that includes his fiancée Sandra and three dogs, James has always found time for his coursework. This entry was posted in News and Information on October 30, 2018 by Bethel Marketing. This entry was posted in News and Information on August 14, 2018 by Bethel Marketing.